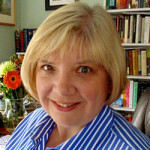 Elizabeth Drescher, PhD is the editor of Bearings and a Consulting Scholar at The BTS Center. She is also an Adjunct Associate Professor of Religious Studies at Santa Clara University and the author of Choosing Our Religion: The Spiritual Lives of America’s Nones (Oxford University Press, 2016), Tweet If You ♥ Jesus: Practicing Church in the Digital Reformation (Morehouse 2011), and, with Keith Anderson, Click 2 Save: The Digital Ministry Bible (Morehouse, 2012) and Click 2 Save: Reboot (Church Publishing, 2018). Her commentary on contemporary religion and spirituality has been published in Alternet, America, The Atlantic, Salon, The San Francisco Chronicle, The San Jose Mercury News, Religion Dispatches, The Washington Post, and other national publications. She is a much sought after speaker for religious and academic groups engaging the changing religious landscape in the United States. You can find Elizabeth on Twitter @edrescherphd. Create Your Own Bearings Adventure! Elizabeth Drescher (Religion Beyond Belief | April 2019). Posted in From the Editor. Elizabeth Drescher (Religion Beyond Belief | April 2019). Posted in Featured Article. Elizabeth Drescher (Giving Up, Giving In, Giving Hope | March 2019). Posted in 21stCenturyMinistry, From the Editor. Elizabeth Drescher (Ritual Reboot | January 2019). Posted in From the Editor, Ritual Reboot. Elizabeth Drescher (Ritual Reboot | January 2019). Posted in Commentary, Ritual Reboot. Elizabeth Drescher (Sharing the Season | December 2018). Posted in From the Editor. Elizabeth Drescher (Ministry on the Edge | November 2018). Posted in From the Editor. Elizabeth Drescher (Special Issue: Tree of Life Massacre | November 2018). Posted in From the Editor. Elizabeth Drescher (Special Issue: Tree of Life Massacre | November 2018). Posted in Creative Insights. Elizabeth Drescher (Into the Wild | October 2018). Posted in 21stCenturyMinistry, AboutBearings, Art and Creativity, Commentary, Wilderness.